When you're a little kid you sometimes see patterns but you don't always understand why they are until years and years later. This is one of those things, and of course it's got to do with the favorite fried food. 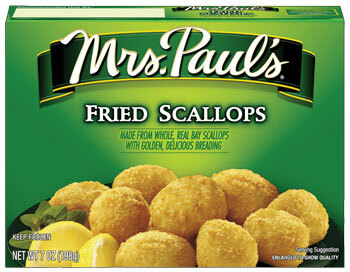 Fish food consisted of a variety of Mrs. Paul's products, then not as soul-crushingly expensive as they are now. Usually there would be fish sticks, deviled crab cakes, fried scallops (my favorite, well, second favorite) and of course, French fries. 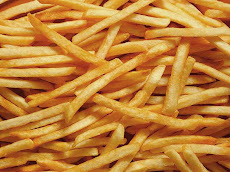 The fries were usually regular cut or crinkle cut, really the only ones available back then. These were all baked together, despite the various temperatures and times instructed in the directions. They usually all came out all right. I loved this meal, and still do, as it brings back good memories of my childhood. I didn't realize at the time that this meal usually fell on a Friday night, a holdover of the old Catholic (Mom was raised Roman Catholic) fish on Friday thing during Lent. Later as an adult living at home, I would make this meal. I got more scientific and precise about temperatures and times. I also found that I liked shoestrings better with the various 'fish foods,' and enjoyed the aroma mix of everything together.